ACU and ACP are official certifications implemented by Autodesk and administered globally through Certiport. Welkin provides authorized Autodesk testing services in Hong Kong. We deliver also ACP 2015 certification exams. For details and exam objectives, please visit Certiport official website. Make sure that you understand the exam topics, the objectives and the exam mode clearly before taking an exam. Welkin offers a wide range of instructor-led training courses to help students develop key software skills. An individual course may not necessarily cover the full syllabus of a specific exam but is useful in enhancing knowledge and skills related to the exam objectives. One of the best ways to prepare for certification success is to use GMetrix Practice Tests, which replicate a “live application” testing environment and enhance learning through self-paced practice questions. Take advantage of Welkin’s “Certification One-Day Pass” which includes an exam voucher (with free retake if applicable), exam preparation workshop and the certification exam. Click here to learn more. Reserve and schedule your certification exam by calling (852) 3605-3322 or submitting an online booking form. Arrive at the testing center on time and present your ID card for exam registration. 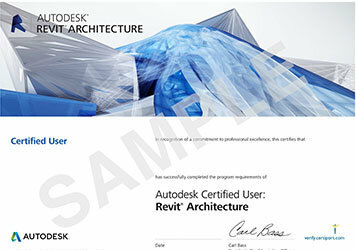 The Autodesk Certified User exam is fully computerized combining performance-based, multiple choice, matching and point-and-click question types. Click here to check out Welkin promotions and certification package offers. You are certified for the exam subject once you pass your exam. Your ACU/ACP certificate is available for download at the Certiport test candidate portal. You may include your name in the Autodesk Certified Professionals listing and claim your digital badge to share your credential with others on social media sites such as LinkedIn and Facebook.